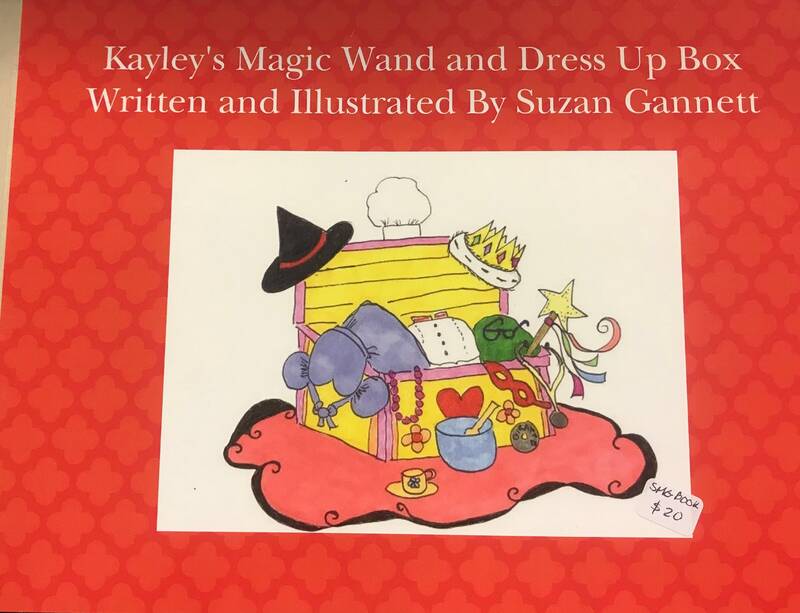 Kayley’s Magic Wand and Dress Up Box written and illustrated by Suzan Gannett is appropriate for children ages 5-7. Kayley has a dress up box with many outfits she uses to pretend to be a princess, doctor, teacher, and much more. What would happen if her magic wand makes it all very real? What lessons can she learn about herself? The cost is $20.